RILEY: WHAT THE POOH? WHAT’S ALL THIS? 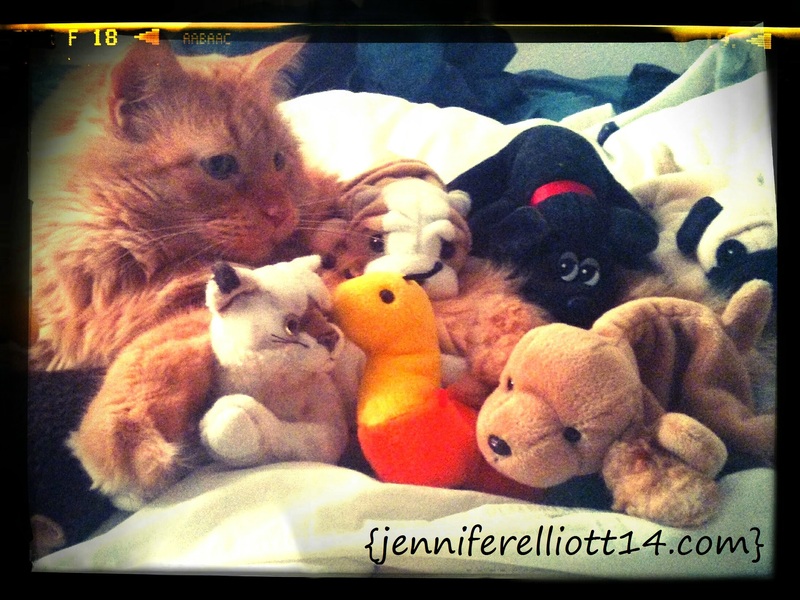 In my defense, I was using the bed first to take pictures of my newly cleaned Beanie Babies. Plus, I wanted to find out how long it took Riley to break free from all the cuteness, which was a minute or two. Because sentimental value is attached to my Beanie Babies and one Pound Puppy, I have no desire to sell them, which meant I could toss them in the washer. I used the most gentle cycle on the washer on the animals because I had no idea exactly how dirty or dusty they were. 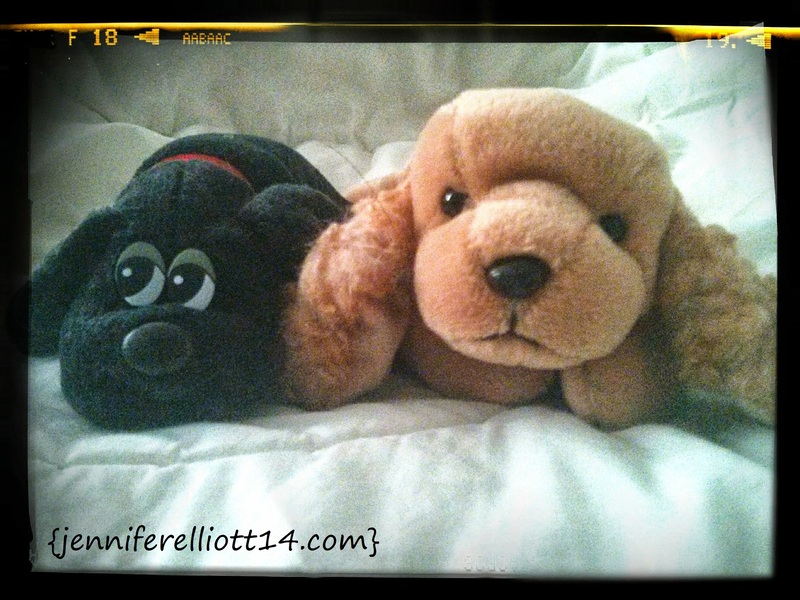 Anyway, I’m pretty sure I’ve had the black Pound Puppy since I was a kid, but that’s all I remember. The cocker spaniel Beanie Baby reminds me of our family’s first dog, Princess (may she rest in peace). 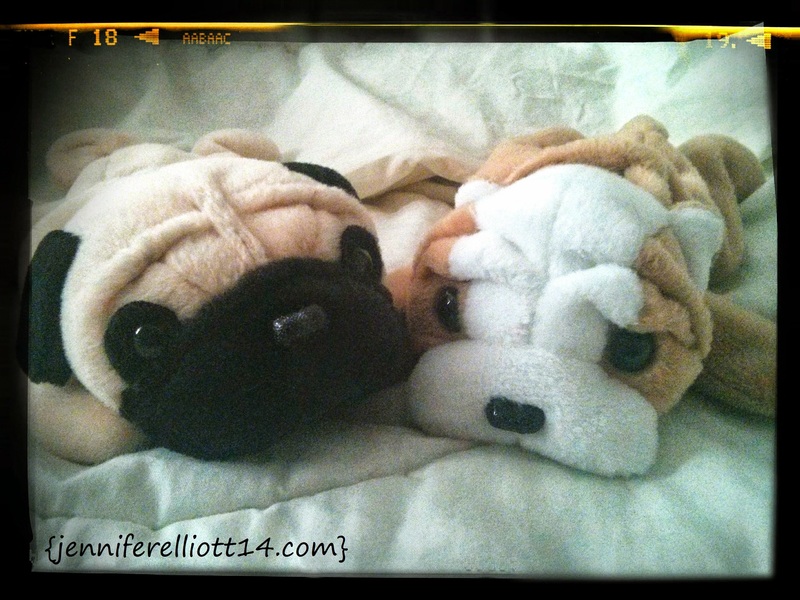 The two pug Beanie Babies were purchased during my pug phase — where I loved and adored all things pugs. At one point, I pasted my favorite pug photos from a daily calendar into a scrapbook. I’m pretty sure I have that scrapbook somewhere in storage. Since the scrapbook just contains calendar photos and I’m not longer in my pug phase, I should toss it, right? 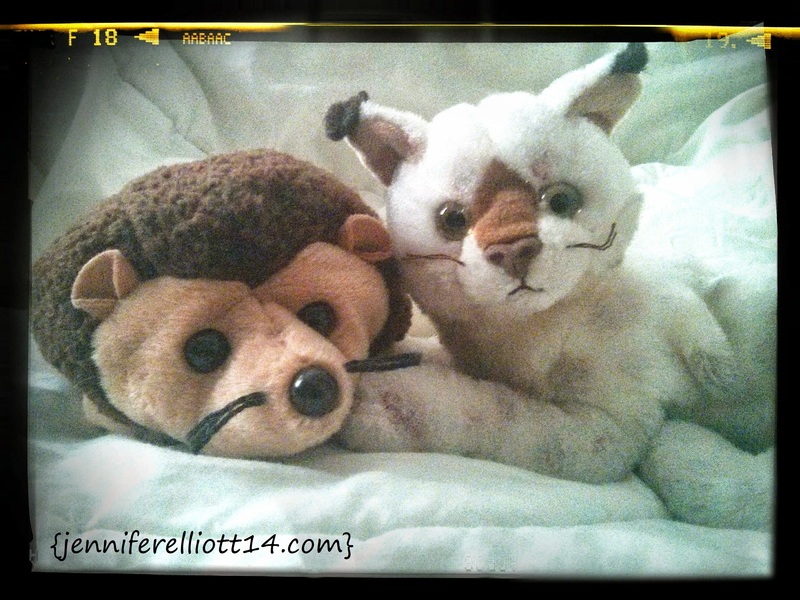 I think the hedgehog is just plain adorable, and I believe a friend gave me the lynx Beanie Baby because of my camp nickname: Lynx. Ah, camp. Good times. Who knew I would love being a camp counselor for a summer and kiss one of the super cute maintenance guys? For one summer, I loved the great outdoors and children. Good times. After the super gentle clean, I feel so much better about having my stuffed animals out of storage and on display (well, sort of). 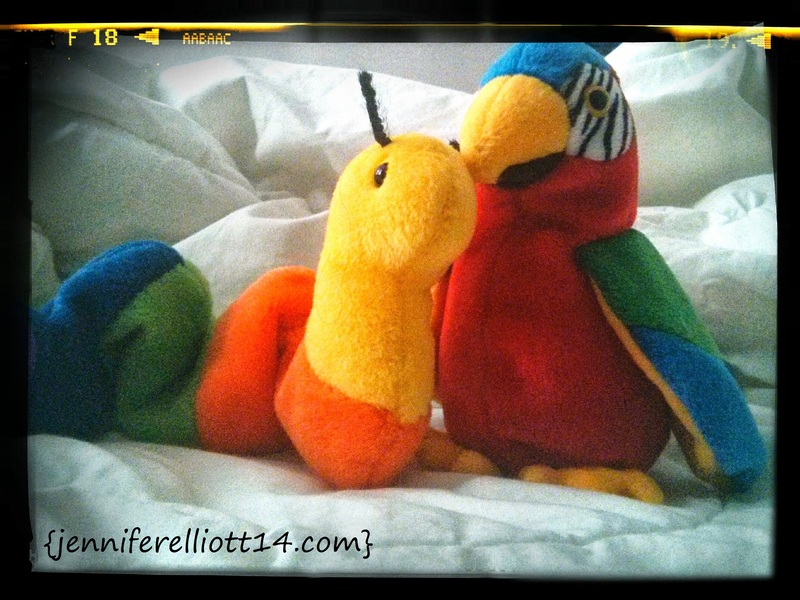 Because of my endless love for all things colorful, I needed the caterpillar and the parrot in my collection. Now, the parrot reminds me of the amazing houseboat vacation a few years ago. I’m happy that each animal holds a special memory for me.